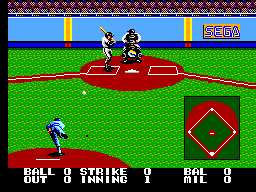 Other Released Names: Known as 'American Baseball' in Brazil and Europe. "You're the manager. And you can field a total of 26 ball teams to battle for league leadership. Pick the team of your choice. Designate a starting pitcher. Then, play ball! 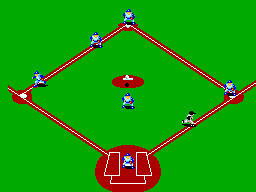 And get ready for some of the most exciting baseball since the game was invented. Will it be a slugging match? A pitching duel? Need a pinch hitter or relief pitcher? You decide. It just takes the right strategy. A cool head. And sure ball control. And if you want batting practice, call up The Home Run Contest. 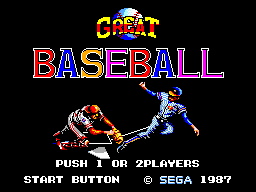 A great feature of Great Baseball that lets you swing at 20 perfect picthes. It's going...It's going...It's gone."